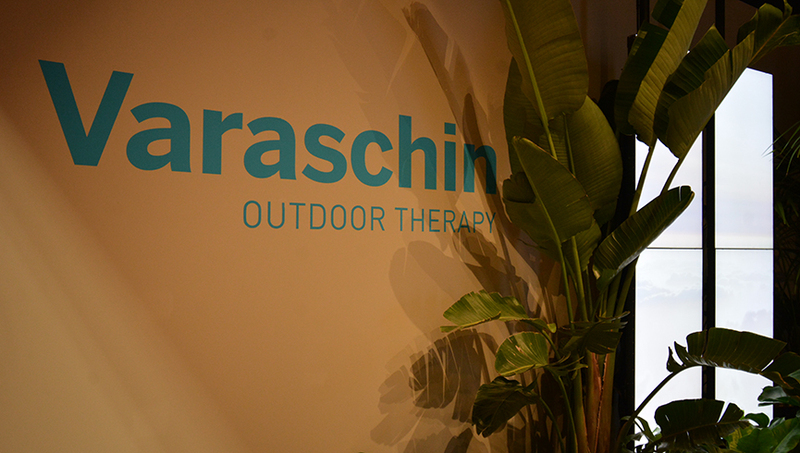 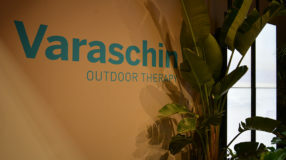 A booth devoted to the Outdoor Therapy. 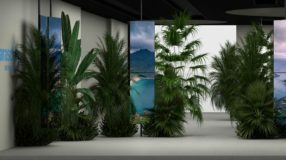 The “Tropical Forest” and the scenography of nature. 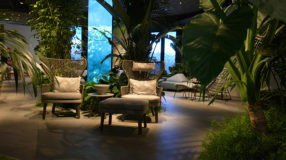 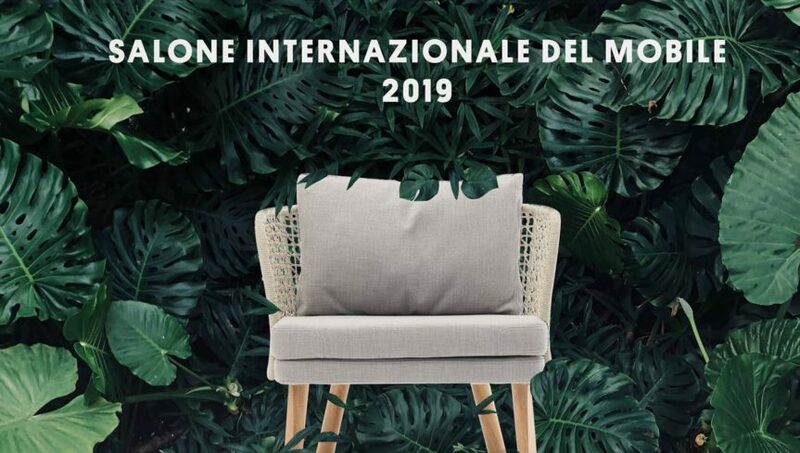 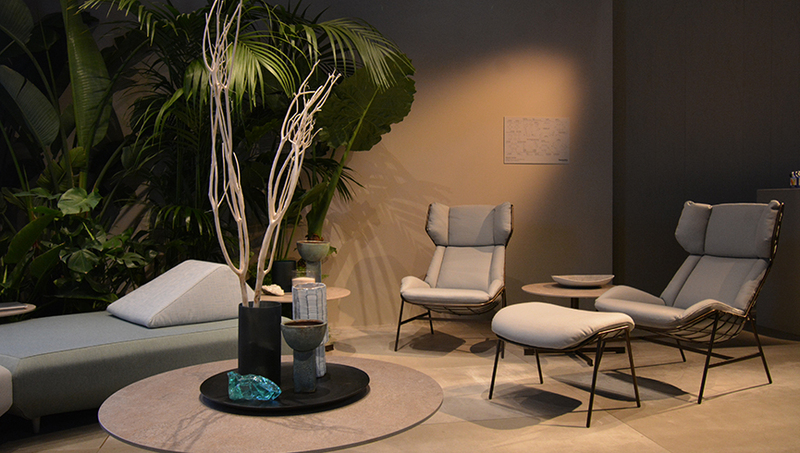 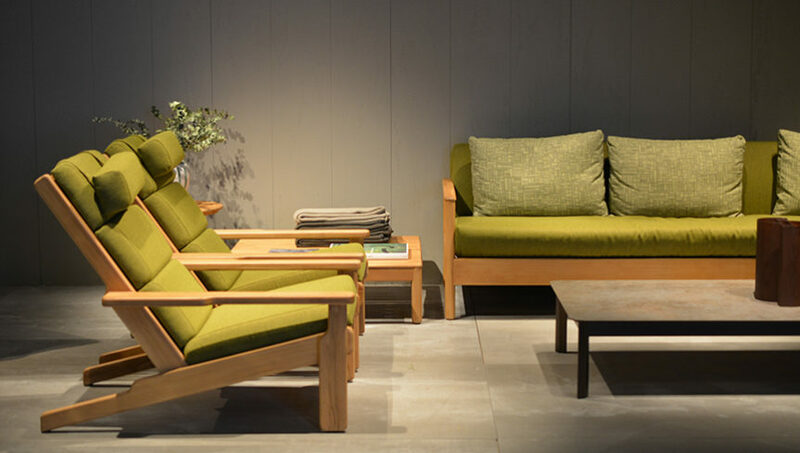 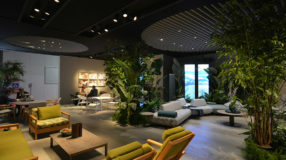 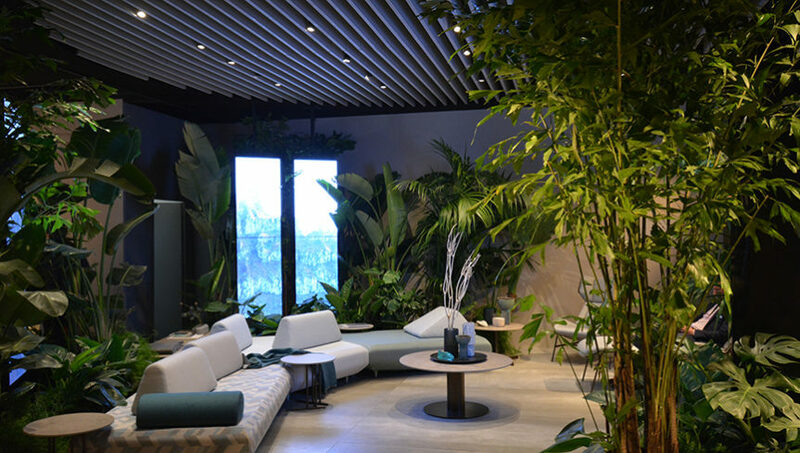 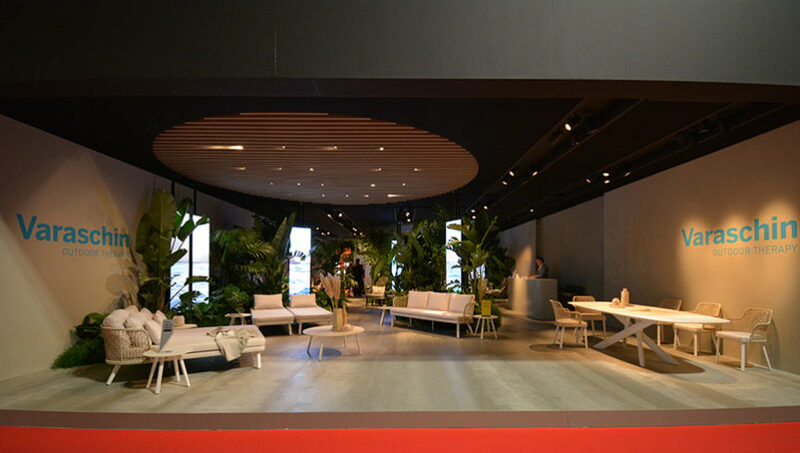 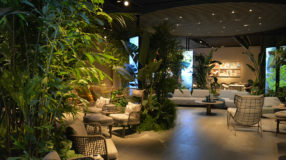 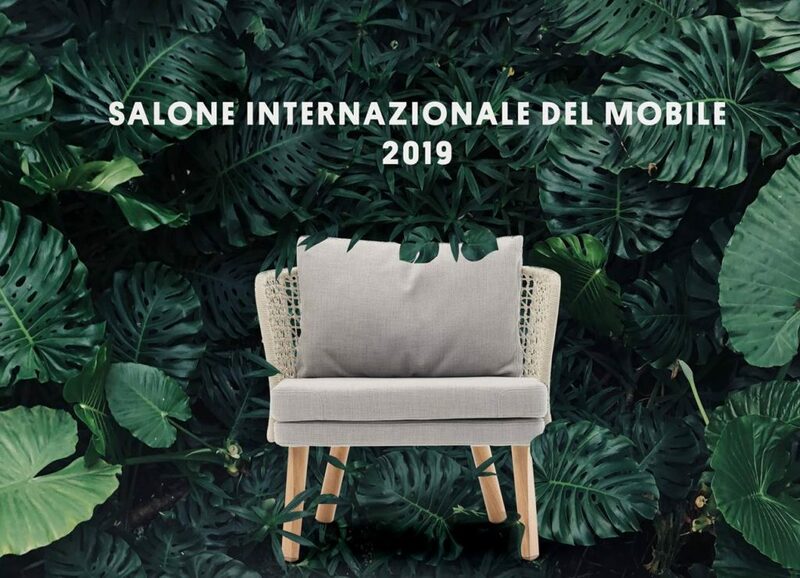 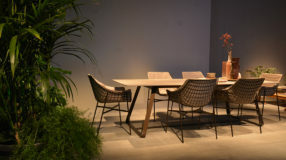 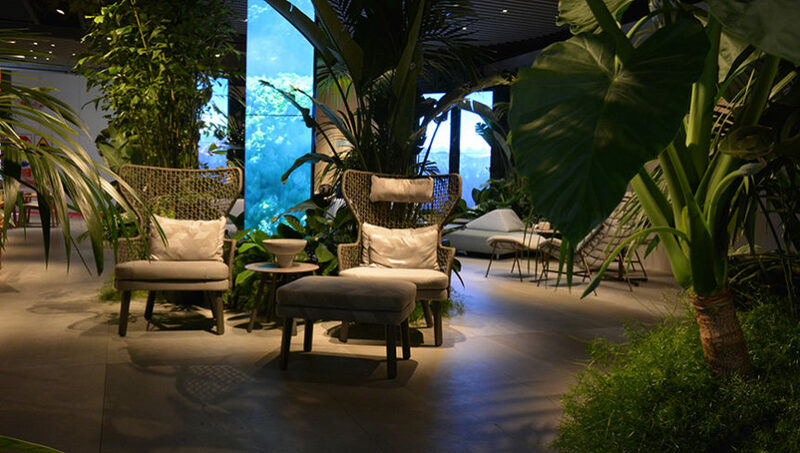 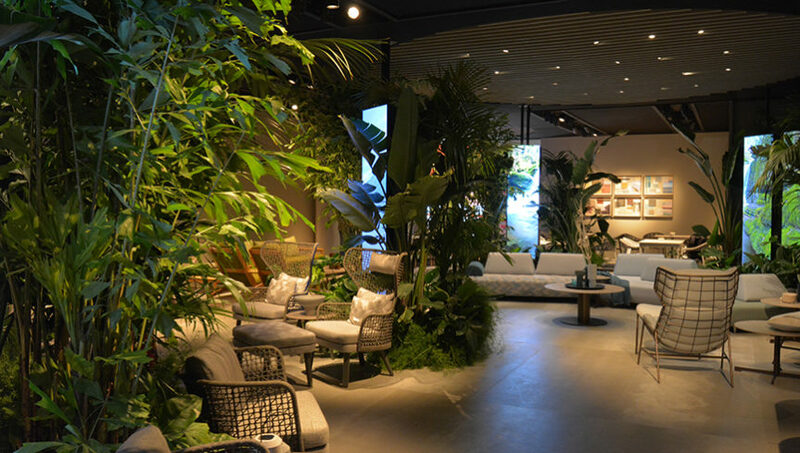 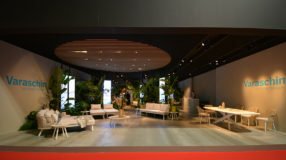 The design of the booth includes a spectacular interaction between tropical plants and Varaschin new product collections. 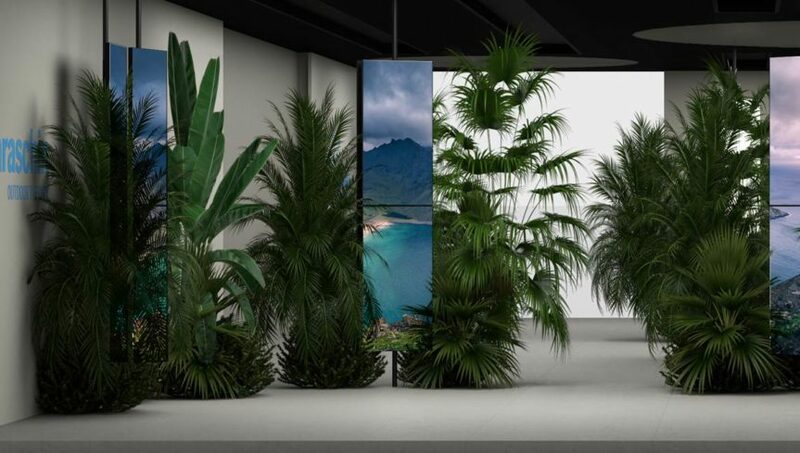 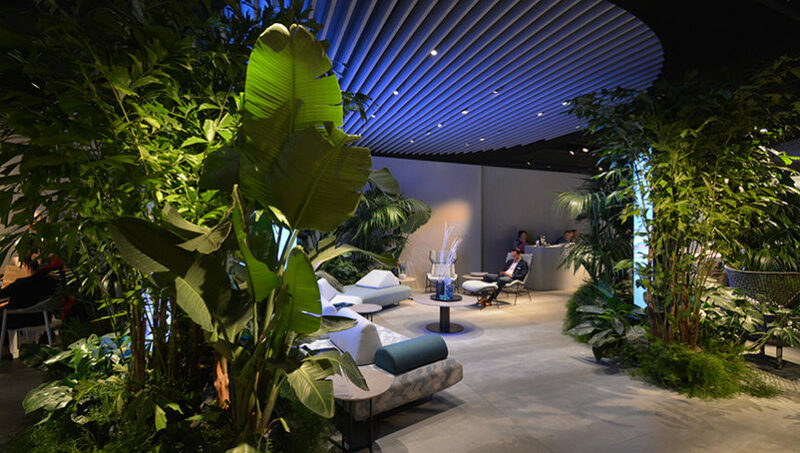 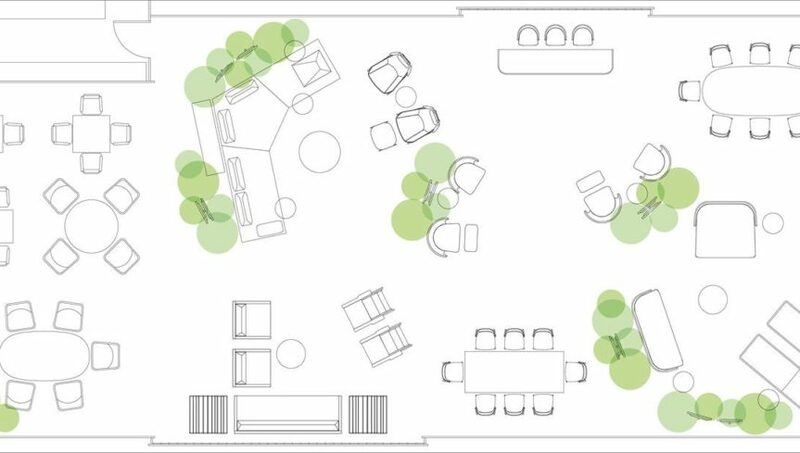 Spaces are supported by vertical screens projecting suggestive scenarios about nature, man and wellbeing, an experiential representation of corporate philosophy linked to Outdoor Therapy. 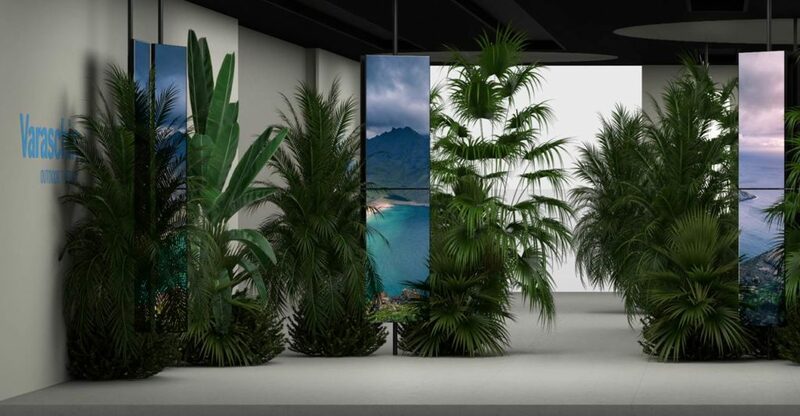 Digital communication takes place through vertical monitors able to create a THREE-DIMENSIONAL EFFECT. 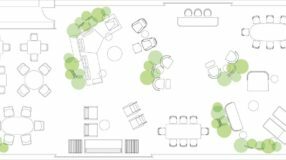 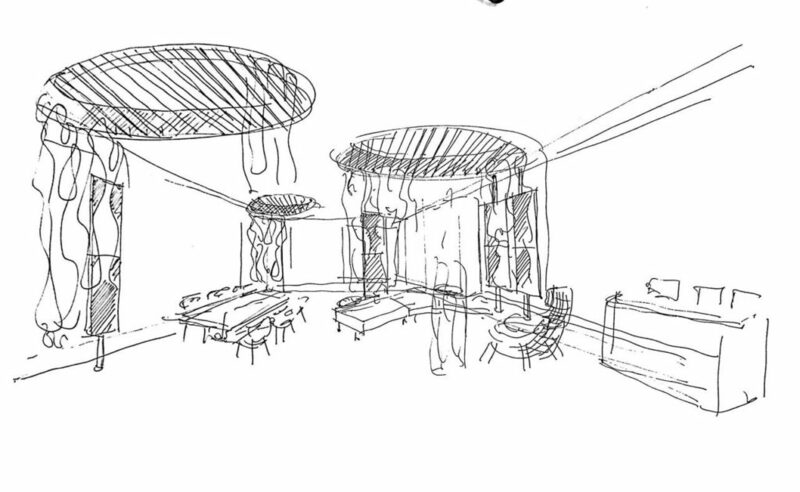 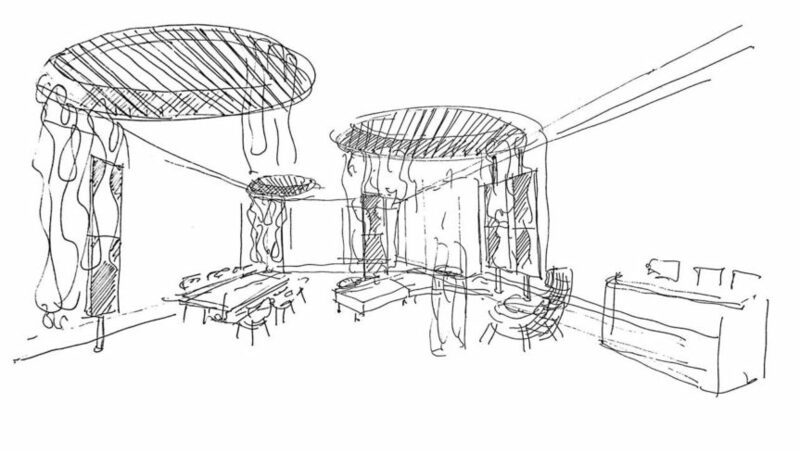 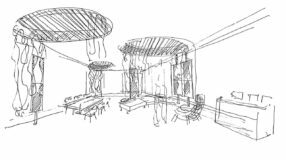 The division of the spaces makes it possible to create a PATH and a gradual and contextualized discovery of the products.